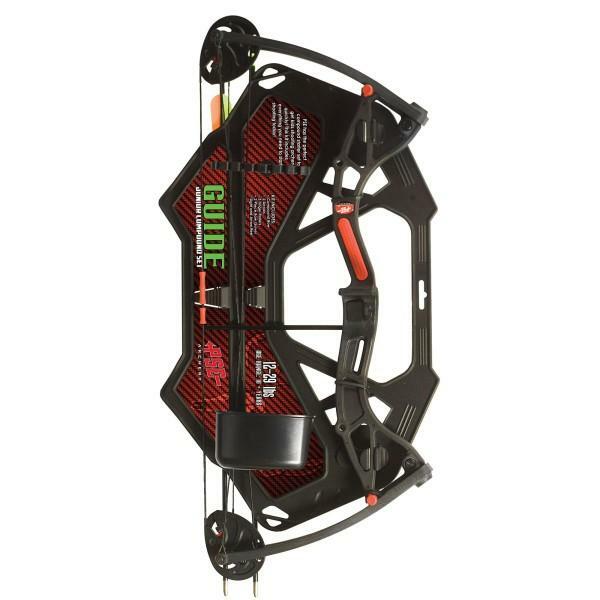 PSE Guide Youth Compound bow 16-26" 12-25# bow kit Archery Supplies Australia's largest and Best Archery Equipment warehouse. Would this bow be able to kill foxes? Hi, do these only come in right hand? Need a bow kit for my 9 year old daughter who is a lefty. What kind of arrow rest does this bow have? and can it be replaced with different types? How much does this bow weigh . Can you show us the pin sight and arrow rest . No much it is plastic. the sight and arrow rest are very basic.